Technology firm Snap Inc. surprised analysts and investors with its long-awaited initial public offering Wednesday, which raised nearly $3.5 billion -- substantially more than Wall Street expected. Snap, the parent company of the popular messaging application Snapchat, set the price per share at $17 on Wednesday, putting the value of the company at just under $24 billion. For weeks, most analysts expected a price point between $14 and $16. A price of $17-per-share puts a valuation of $23.8 billion on the 5-year-old company. At that level, Snap's introduction on the New York Stock Exchange is the most lucrative public offering since China-based e-commerce firm Alibaba Group Holding Ltd., parlayed its IPO into $25 billion, the largest in history, in 2014. Wednesday's is the largest U.S.-based tech IPO since Facebook raised $16 billion in 2012. "The IPO market hasn't had a deal like this in over two years," Renaissance Capital analyst Matt Kennedy said. "If you're a tech investor, you haven't had anything to look at in awhile." The company's NYSE ticker symbol will be SNAP, and will begin trading at the opening bell Thursday. Snap on Wednesday sold 145 million of its 200 million initial shares, locking up the rest of the float as a measure to mitigate potential volatility that often comes with short-term investors. Some people familiar with the company's plans said in recent days that Snap's IPO could actually start at $18 per share, which would have amounted to an additional $200 million. Demand for Snap's initial shares was quite heavy, investors said -- about $30 billion worth of interest for $3.4 billion worth of shares. The majority of stock sold went into mutual funds, where they are expected to remain for the long term. Some analysts believe such a large debut might help awaken a sluggish IPO market for the U.S. technology sector. Aside from a handful of mega-IPOs in recent years, like Facebook and Twitter, stock introductions in the industry have been consistently lackluster. Founded in 2011, Snap and Wall Street have been anticipating the company's IPO since last year. 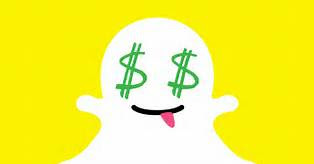 On Feb. 2, Snap filed its required prospectus with the U.S. Securities and Exchange Commission for the sale of public shares, in which it said it hoped to raise up to $25 billion. In November, it expressed hopes for an IPO in the $20-25 billion range. In discussions with potential investors in recent weeks, Snap was asked about a number of potential concerns -- including its founders' atypically high level of voting control, its plans for growth, its strategy to beat competitors and the reasoning behind calling itself a "camera company" in the SEC prospectus. "The deceleration in user growth is a clear indicator that Snap is losing its snap," analyst Lee Bressler told Business Insider Wednesday. "Instagram's Stories feature is a direct competitor and will continue to take market share. This could be the next Twitter or, worse, Myspace." Some experts say the primary reason for concern is rooted in other recent high profile IPOs. In 2013, Twitter began selling shares at $26 apiece. The stock today is worth less than $16 per share. Snap intends to "create the best camera platform so we can drive engagement and monetize that engagement through advertising," Chief Strategy Officer Imran Khan said in a video during Wednesday's offering.